7:30pm at the Wildlife Trust Office on Bury Road near the junction with Crompton Way. 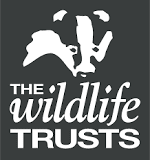 The walk, organised by the Wildlife Trust, will take us northwards from Bolton Environmental Resource Centre up the Kingfisher Trail through Seven Acres. This historic trail is home to a wide range of wildlife species and provides a recreation resource which is important for the region's people, wildlife and heritage. Despite its industrial past it is now home to everything that makes the trail great; wildflower meadows, heathland, woodland and wetland.